NEW HAVEN — He would wake up at 3:30 a.m., 30 minutes before his day would start on the farm, 3-1/2 hours before he would eat his first meal of the day. Stomach rumbling due to hunger, Harvey Lockyer knew work came before anything, so breakfast wasn’t part of his morning routine until the farm was all set for the day to come. Harvey Lockyer, 88, Woodbridge, Conn./Bobby Martinez. “That was life,” he said. Lockyer, who started working at the age of 7, back in 1933,on a farm on North Pease Road in Woodbridge Conn., would begin his day with his co-workers and a team of horses, milking cows and maintaining the farm for numerous years. The labor on the farm was hard, Lockyer said, but it had to get done because a lot of people relied on them (Lockyer and his co-workers) to have fresh milk and eggs each day. A dozen eggs would cost 35 cents and a quart of milk would be 16 cents, but he would leave the farming industry mid-way in World War II to join the Navy. Once The Great Depression and WWII ended, wages at this time were $1 an hour. When it came to making money, Lockyer said it started to pick up for a lot of people in America at this time. But it was what to do with the money that made people become more cautious with spending. But for a small town like Woodbridge that had a population in the hundreds, entertainment would come just once a week for Lockyer. It is unlike today, where the town has, according to the 2010 Census, a population of roughly 9,000 residents. Woodbridge has filled empty spaces over the decades with numerous bars, gyms, stores, bowling alleys. After the Navy, Lockyer was employed in numerous jobs which lasted an average of one to two years. In 1954, Lockyer settled in a field that he enjoyed: the telephone business. Rotary telephone of days gone by. Thinking back to the 1930s, telephones didn’t have a screen to show you what numbers were being dialed as they do today. 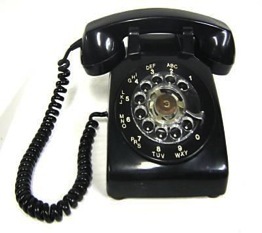 In fact, Lockyer remembers in the 1930s, telephones had circles with numbers ranging from 0-9 with alphabets next to them, which was called “rotary telephones”. At this time, phone numbers consisted of two letters and three numbers unlike today, where a phone number consists of 11 numbers including the area code. The first portable phone came into existence in 1964, 18 years after the first mobile phone service AT&T began. Communication through telephones started to become much more convenient for people as time progressed said Lockyer, but the price for a phone call was a heavy coin. Lockyer would work in the phone business for the next 34 years, retiring in 1988 at the age of 62. 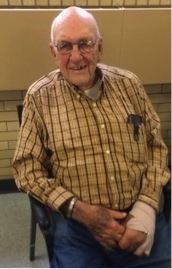 During his 26 years of retirement, Lockyer would still go back to his childhood roots, which is the farming field where he enjoys growing vegetables in addition to traveling. With much more free time, Lockyer said he has refused to learn how today’s smartphones work.